What is the best acne regimen for getting rid of acne and keeping it away for good? The honest answer is that the best daily routine for keeping acne under control depends on your skin type and the type of acne you have. Different types of skin require different daily skin care regimens for common acne, and different kinds of acne may require entirely different approaches for keeping skin clear. 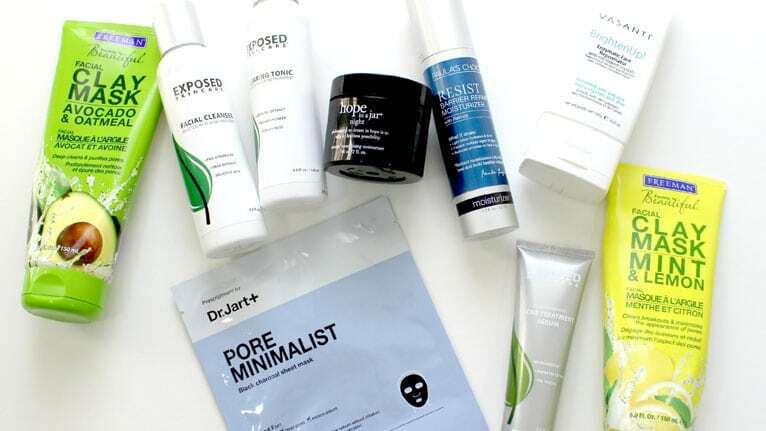 Selecting the best acne products depends on the type of skin, and the type of acne you have. Here are the highlights of daily acne care regimens that work for common acne on oily, dry, and sensitive skin, and for special concerns with Asian skin tones, black skin tones, women’s acne, rosacea, and back acne, also known as bacne. The right acne regimen depends on your skin type and skin issues. No single regimen works for everyone who has acne. Oily skin acne needs exfoliation, preferably with products that contain 2% beta-hydroxy acids. Dry skin acne needs moisturizing—never with a product that contains alcohol. Sensitive skin acne requires calming. Avoid products that contain alcohol, fragrances, or any ingredient that causes the skin to tingle. The key concern in treating Asian skin acne is avoiding permanent pigmentation. The worst acne care problems for black skin are triggered by hair removal or shaving. Women’s acne sometimes can be remedied with the Pill—or at least women can plan ahead for their acne care. Azelaic acid helps control rosacea, but use azelaic products as directed. They can have a side effect that women in particular would find objectionable. The best treatment for back acne is salicylic acid, delivered as a spray. Oily skin tends to shine a few hours after it is washed, and it is usually oilier across the brow and on the nose. People who have oily skin can get any kind of blemish, but they tend to get more blackheads and whiteheads than pimples. The most important thing to remember in your daily acne care regimen for oily skin is to keep pores open. It is not just oil that clogs pores. Blemishes form when pores get clogged with clumps of dead skin trapping acne bacteria. It is important to blot excess oil from the skin, but getting rid of the other debris on your skin takes more than just daily use of skin cleanser. You will also need a gentle acne serum containing salicylic acid. And when your skin dries out in the sun—don’t be afraid to use moisturizer, especially on the sides of your face. Dry skin tends to flake and peel, especially after the use skin care products that contain alcohol. People who have dry skin also can get any kind of blemish on acne-prone skin, but they are more likely to break out in pimples than to get whiteheads and blackheads. The most important thing to remember in your daily acne care regimen for dry skin is to keep skin moisturized. That does not mean you need to put oil on your skin. Instead seal the moisture that is already in your skin with moisturizers that contain ingredients like dimethicone, which keeps your skin smoother and softer with deeper natural colors. Sensitive skin is “tense” skin that gets red or breaks out when it is exposed to chemicals, rubbing alcohol, or botanical extracts. People who have sensitive skin tend to get more pimples than blackheads and whiteheads, and they can get acne even when they do not have excess oil on the skin. The most important thing to remember in your daily acne care regiment for sensitive skin is to avoid anything that stings or burns your skin. Don’t use products that contain perfumes, essential oils, botanicals (other than green tea and gotu kola), menthol, or alcohol. If you use moisturizer, try a spritz of a mineral water such as Avene Thermal Spring Water before you put on the moisture complex, and treat your skin with a product that contains azelaic acid (such as MyChelle Clear Skin Serum) as directed. Many people who have rich golden skin tones find that the brown pigmentation left when acne heals is a bigger cosmetic concern than the acne itself. Asian skin tends to be very sensitive to the combination of sunlight and acne medication of all kinds. If you have an Asian skin type, you need to be sure to use sunscreen on your face whenever you are using antibiotics, tretinoin topical, benzoyl peroxide, or even tea tree oil. Using the acne treatment in the morning and moisturizing your skin with a product that contains natural vitamin E after your nighttime skin cleansing will help reduce the formation of brown spots. The worst acne problems on black skin are usually caused by shaving or hair removal. Plucking, tweezing, or shaving hair sometimes leaves part of the hair in the follicle. Black skin is often fast-growing skin, and it grows over the ingrown hair. Then the immune system tries to attack the hair trapped in the follicle and turns the skin over it into pink scar tissue. Women can prevent this problem by using electrolysis to get rid of unwanted facial hairs. Don’t try to do electrolysis at home. See a cosmetologist who is very familiar with the issues of black skin care. Don’t use chemical hair removers. Products like Nair can cause permanent discoloration of black skin. Men can prevent this problem by never shaving the face or scalp with a dull razor. Always dispose of safety razors after 2 or 3 uses. Apply shaving cream to the skin very liberally to soften hairs and make them easier to cut off at the skin line. Consider using clippers instead of a razor. If the hair is left as long as a grain of rice (about 2 mm), it will not grow inward. Millions of women have acne breakouts just before they have their periods. The skin thickens as progesterone levels rise during the second half of a woman’s menstrual period, and pores open and drain as estrogen levels rise during the first half of a woman’s menstrual period. Premenstrual acne is never inevitable. Even if nothing is done to change hormone levels, a daily regimen of skin cleansing along with regular use of glycolic or salicylic acid peels will do a lot to help keep the skin smooth and evenly colored. Taking the contraceptive Pill usually also helps—but does not completely eliminate acne. The 1/3 to 1/2 of blemishes that are not affected by use of the Pill require the same kinds of skin care techniques used to treat ordinary acne on dry, oily, sensitive, Asian, or black skin. Rosacea breaks out in tiny red pimples across the cheeks, around the eyes, and on the nose. This form of acne is not caused by clogged pores. Instead, it is due to tiny leaks in the capillaries underneath the skin. These blood vessels leak when blood is forced into the skin by reflex action of nerves in the face or by vasodilation to cool the temperature of the face or inner body. Eating buckwheat or blueberries 3 to 5 times a week provides anthocyanidin plant compounds that may strength capillary walls and make them less prone to leakage. Avoiding extremes of temperature and consumption of hot or spicy drinks also reduces the frequency of attacks. The most important addition to most rosacea sufferers’ weekly acne care regimen, however, is the use of products that contain azelaic acid. This substance can reduce the number of rosacea flare-ups and also treat whiteheads and blackheads. But do not use more than directed, because it can also cause hair growth. Back acne, which is also known as bacne, tends to occur on places that are hard to reach. The easiest way to treat back acne is to use a salicylic acid spray, such as Paula’s Choice 2% Beta Hydroxy Acid Liquid for All Skin Types. Applied with a spray bottle, this product loosens blackheads and keeps new blemishes from forming on the rest of the back. Acne Pads: How Well Do They Really Work?